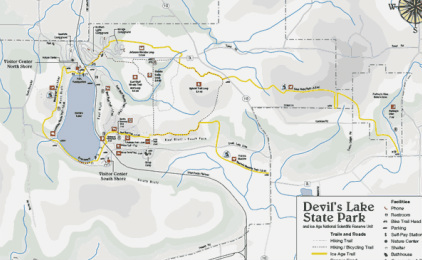 Poodle Hiking and Camping - Devil's Lake Wisconsin - Tri-State Poodle Club, Inc.
beautiful Devil’s Lake, the largest state park in Wisconsin and our most requested, event destination! We'll meet outside the visitor's center (North Shore) at 10am and break into groups depending on interests. 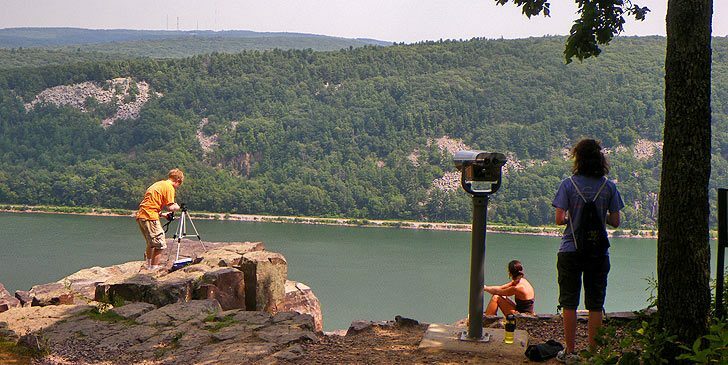 There's much to do at Devil's Lake! Click on the pictures and links below for more information about the park. Coming From The South: From Interstate 90-94 just take exit 106 to Highway 33. Take a right at the stop sign and go to Baraboo. (13 miles) When you get to Baraboo Take a left at the 2nd stop light. (This is Business Hwy 12) Then go through town and watch for a sign to the park. You will turn left on Highway 123 and follow it straight out to the park. 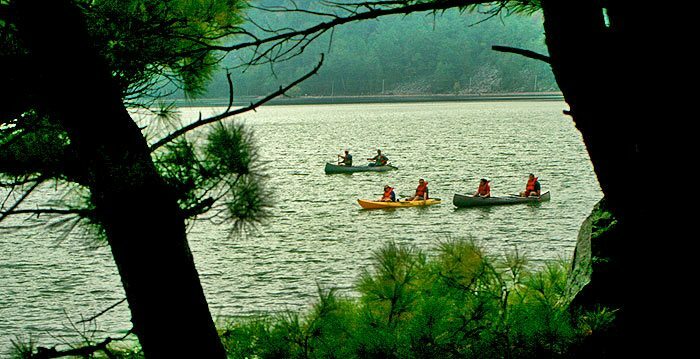 Coming From The North or Wisconsin Dells: Just take Highway 12 south (Exit 92) and go about 1 mile past Baraboo (approximately 14 miles). Take a left on Highway 159. This will bring you to Highway 123. Take a right and follow into the park. Join our poodles around the campfire! for camping (or "cabin"ing!) with your poodles. 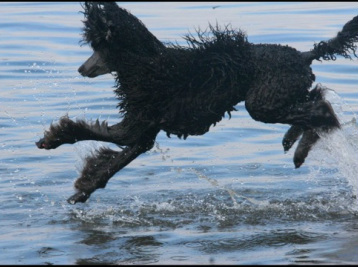 has not only welcomed us and our poodles to their beautiful grounds, cabins, and private lake but has also offered our group a discount by waiving their pet fees. Be sure to mention "Tri-State Poodle Club"